Sometimes you get really dirty. 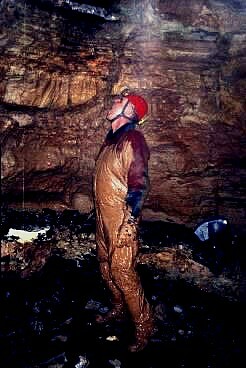 This is a picture of my father in Hamilton Spring cave in Meramac State Park,Missouri. 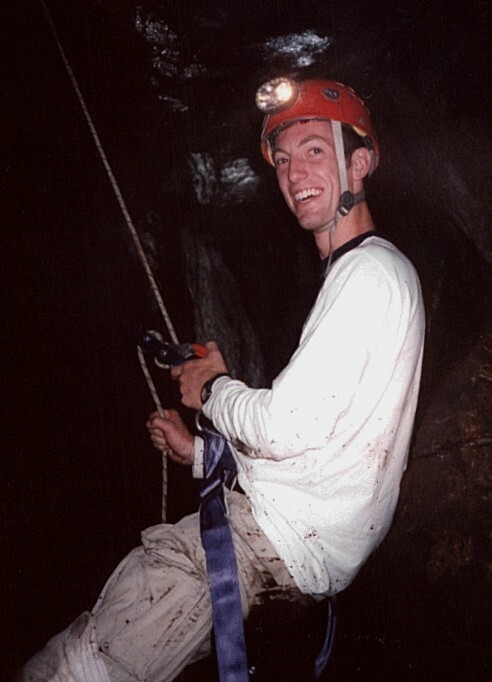 Some caves are vertical caves in which you need rope, harness, ascenders, and descenders such as in this picture. 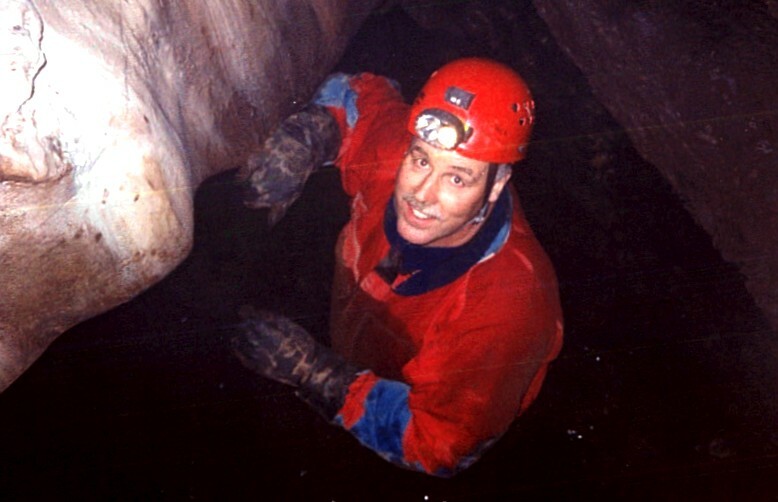 This picture of Greg Sinnett was taken in Inman's Cave in Camden, Maine. Stretch your hand as wide as it will go...the distance between your thumb and finger is the distance that you can fit your body through. Here is proof. This is called the gun-sight. It is in Knox cave in New York. Usually my father doesn't make faces like this one. He only expresses this when he is standing in chest deep, forty degree Fahrenheit water waiting for me to take the picture. 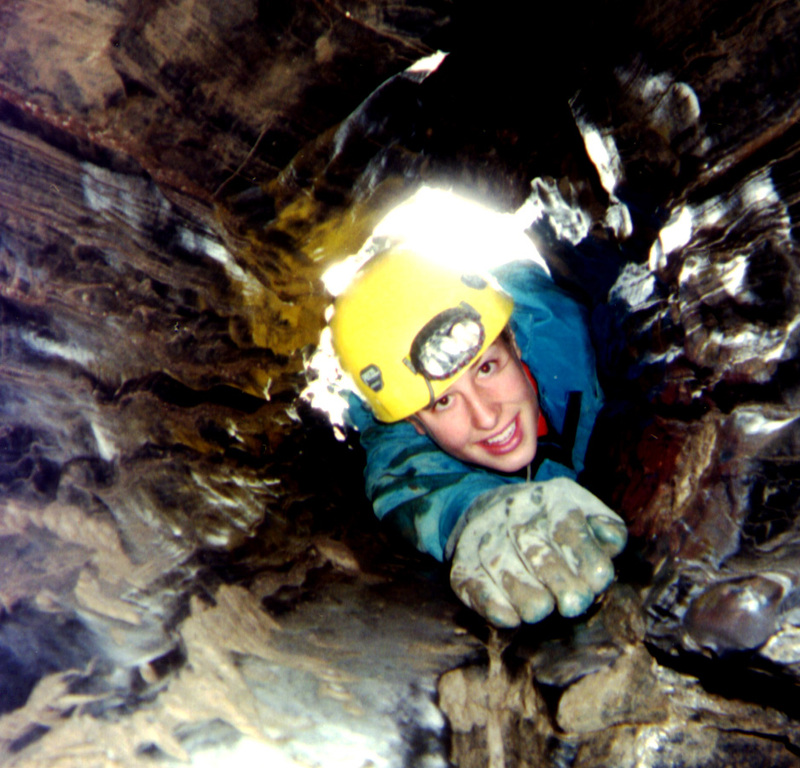 This is in Kitt's Cave in Sussex, New Brunswick.